In September, 2014, Adlabs Aquamagica Water Park was opened next to Imagica. Children under the age of 3 DO NOT NEED A TICKET at Adlabs Imagica. It’s FREE for them. Adult Ticket (Full Ticket) is for visitors over the age of 12. Senior Citizen are 65 years and over. EXPRESS ticket allows visitor to directly access rides without waiting in queue. AC Shuttle Bus service to Imagica and Aquaimagica is available for Rs 500 per person. Mumbai pick-up points for the Adlabs Imagica bus include Mumbai’s Western Suburbs (Borivali, Kandivali, Malad, Goregaon, Andheri, Vile Parle, Santacruz, Bandra), Mumbai’s Eastern Suburbs (Sion, Chembur), Navi Mumbai (Vashi, Nerul, Belapur, Kharghar, Kalamboli). Pune pick-up points include Pune Station, Kothrud, Aundh, Vishal Nagar, Hinjewadi and Lonavala. Visitors to Imagica can avail discounts on Family packs (family of 4 or 6), Family + car package, College Packs, off season discount packages (especially during the monsoon), etc. Please visit the Imagica and Aquaimagica website for details. 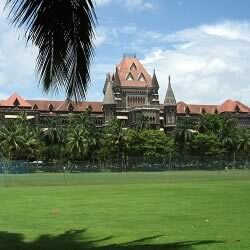 From Mumbai travel to Navi Mumbai (Vashi, Palm Beach Road, Belapur, Kharghar, Kalamboli) and get onto the Mumbai Pune Expressway (NH4, Yashwantrao Chawan Express way). Exit the Mumbai-Poona Expressway at the Khalapur Toll Plaza (Khopoli Toll Naka). The Khalapur Toll Naka is on the left. Distance from start of the Mumbai Pune Express way, at Kalamboli (McDonald’s), to Khalapur/Khapoli exit, is 33.5 Km. 0.5 Km from the Expressway Khopoli Exit, the road splits into two. The North Road (left) goes to Khopoli and Khalapur towns. Take the South Road (Sharp right). This is the Khopoli – Pali Road (State Highway 92). To reach Adlabs Imagic travel straight south for 3.7 Km on the “Khopoli Pali” Road. From Poona reach the Mumbai – Pune Expressway. Cross Urse/Talegaon Toll Naka on the Expressway. 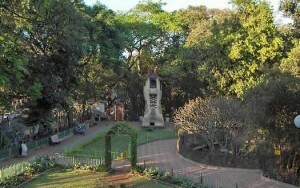 First Khopoli road route is to take the Lonavala Exit and travel to Khapoli on the old Mumbai – Pune Highway (NH47). Keep travelling West and cross Khopoli. Travel west until you reach Khapoli – Pali Road (State Highway 92). Hotel Shree Krishna is the landmark. Turn straight South on the Pali – Khopoli Road and Imagica is 4.0 Km away. Alternately, visitors from Pune can take a U-turn just before the Khalapur Toll Naka. Adlabs Imagica is India’s Biggest International Standard Entertainment Theme Park (Amusement Park). It is an ideal Family Fun destination. Adlabs Imagica has India and Asia’s largest Roller Coaster (“Nitro”), 4D Simulation rides, Free Fall from 132 feet (equal to a 12 storey building), Boat Ride among Dinosaurs, Rolling Scream Machine at a height of 142 feet, Junior Roller coaster, Water Games, India themed attractions (Mr India), 360 degree Cinema Dome, Special effects, and much more. Rides and attractions at Adlab IMagica are among the best in the world. Imagica is located near Khopoli and Khalapur. Adlabs Imagica is close to Mumbai (70 Km) and Pune (85 Km); just off the Mumbai – Pune Expressway (NH 4). 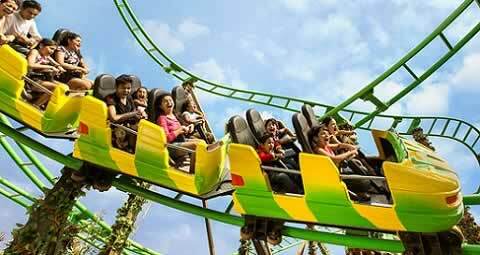 At 80 acres, Adlabs Imagica is not only bigger than other popular theme parks in Asia, but it also has more thrilling rides (21 attractions). By comparison, Universal Studio Singapore has only 49 acres and fewer rides (Universal Studios Hollywood is even smaller). Hong Kong Disneyland has only 55 acres and fewer rides. Hong Kong’s Ocean Park has only 42 acres and fewer rides. Adlabs Imagica has 21 rides (19 currently operational), 3 stages shows, 4 types of Street Performances, Street Entertainers, Comic Characters and lip smacking Food. Adlabs Magica is divided into 6 zones from all over the world – “India”, “Viva Europa” (Europe), “Arabia “ (Middle East), “Asiana” (Futuristic world), “Americana” (USA), “Jambo Africa” (Africa). “Nitro” is India’s (and Asia’s) largest roller coaster. Imagica’s “Nitro” is an amazing Floor-less Roller Coaster which has a maximum speed of 104.9 Km/Hr (65.2 mph) and a maximum height of 132 feet (40m or 13 storey high). In addition, Nitro has 5 full 360 degree inversions. Nitro is located at Adlabs Imagica’s “Americana” Zone. 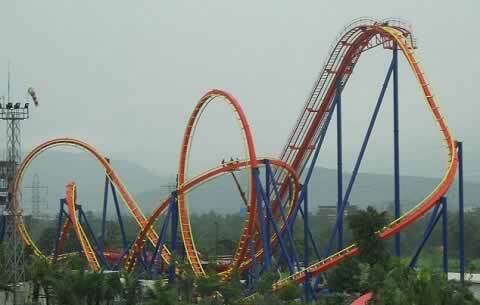 Not just India, but it is probably the biggest Roller Coaster in Asia. 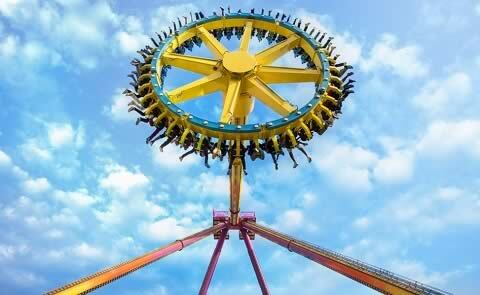 Nitro is manufactured by Switzerland based Bolliger & Mabillard, who invented the inverted roller coaster. This machine rotates and goes up at an angle of 120 degrees. To live up to its name, the Scream Machine climbs to a height of 142 ft, which is the equivalent of a 13 storey building. This ride is in the “Americana” Zone. Minimum Height for Scream Machine is 4.33 ft.
“Gold Rush Express“is a big Roller Coaster in the “Americana” Zone. Visitors race down from a height of 20 meters in this exciting roller coaster. Minimum Height for Gold Rush Express is 4.00 ft. Children above 3.50 ft (approximately 5+ years) have to be accompanied by an adult. This ride is only for the strong hearted. This is a straight vertical Free Fall from a height of 132 feet, which is the equivalent of falling from a 12 storey building. This ride is in the “Americana” Zone. Minimum Height for D2 Dare Drop is 4.00 ft.
Viewers rise high above the ground and view a dazzling film about India. Film is shot from a helicopter. The movie is shown on a 90 feet indoor auditorium in the “India” area of Adlabs Imagica. Minimum Height for “I For India” is 4.00 ft (approx 7.5 years). This River Adventure consists of a Boat Ride, through the land of the dinosaurs. Enjoy the unexpected twists and turns and the many dinosaurs. Rajasaurus River Adventure is in the “Jambo Africa” Zone at Adlabs Imagica. This frightening, adrenaline pumping roller coaster is housed in a massive dome. Unlike conventional rollercoaster that start climbing slowly and then accelerate, this monster speeds up from the word GO. Be prepared to be dazzled. Minimum Height for Deep Space is 4.50 ft. (Note: This roller coaster will be operational in the second half of 2013). Relive the magic of “Mr India” in this 4D motion simulation ride. Meet Mogambo, Mr India, Seema, Calender, the cute kids and Toota Phoota the robot. Anil Kapoor and Sridevi have given their voice for this ride. 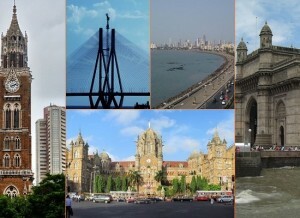 This mix of motion, film and advanced simulation is in the “India” Zone. The Mr India Car has jet packs and water blasters. Minimum height of Child should be above 3.33 ft (aprox 4.5+ years) and should be accompanied by an adult. Board a vehicle which travels on rails and using laser guns, shoot at the 40 “Chor” who are terrorizing Gulabad. Minimum height of Child should be above 2.67 ft and should be accompanied by an adult. What a fun way to get wet on a hot sunny day. Get onto a pirate boat that travels on rails in the water and splash water on others using a water gun. This boat trip is in the “Viva Europa” Zone. Minimum height of Child should be above 3.17 ft (3+ years) and should be accompanied by an adult. Small kids will enjoy this colorful and brightly lit merry-go-round. Minimum Height for the Magic Carousel is 3.50 ft (approx 4.5 years). Loch Ness Explorers get onto a log that travels through water, while trying to escape water splashed by the Loch Ness Monster. Minimum height of Child should be above 3.00 ft (3 years) and should be accompanied by an adult. Elephant Tubby Merry-Go-Round rises above the ground. This ride is in the “Viva Europa” Zone. Minimum height of Child should be above 3.17 ft (3+ years). “Prince of the Dark Waters “is an amazing 360 degree Dome film with a screen size of 3,100 sq ft. Viewers will experience the sensation of being immersed in water with mermaids. 6 Christie projectors project this tale on the screen. Minimum height for this attraction is 4.00 feet (approx 7 years). Kids should be accompanied by adults. Children row boats to save a pirate. This boat ride is in the “Viva Europa” Zone. Minimum height of Child should be above 3.17 ft (approx 3 years). Walk through the creepy dungeons of Salimgarh. Be ready to be spooked. This adventure takes place in the “India” Zone of Imagica. Minimum height of Child should be above 2.67 ft and should be accompanied by an adult. “Bandits of Robin Hood” is Adlabs Imagica’s junior Roller Coaster (“Gold Rush Express“, “Nitro’ and “Deep Space” are the adult roller coasters). This rollercoaster is in the “Viva Europa” Zone. Minimum height of Child should be above 3.33 ft (4+ years) and should be accompanied by an adult. This show is a mix of Special Effects, Multimedia and Live Theatre. This show is in the “India” Section. Minimum height of Child should be above 3.00 ft (3 years) and should be accompanied by an adult. Spin around in giant tea cups. This mind boggling attraction is in the the “Jambo Africa” Section. This water sport is the water equivalent of Bumping Cars. Bump into a neighbor’s boat. This ride is in the “Viva Europa” Section. Minimum height of Child should be above 3.33 ft (4+ years) and should be accompanied by an adult. Blow Your Troubles Away With Neera: Every evening, Adlabs Imagica’s resident mermaid, Neera, appears at the lagoon in the center and sings her songs. The water fountains in the lagoon dance to the music. Focus To Fly! : Tubbby the elephant will tell stories to kids and then he will make them fly in the air. Electric Enigma: Every evening there will be a dazzling Laser show. Floating Baba: The Floating Baba can be found in the “Arabia” zone performing magic tricks. Flippers: Spectacular stunts performed in “Asiana” section. BoomBoxers: Boom Boxer performers at the “Americana” section will make visitors dance to their tune. Imagicarnival: Jugglers, clowns, magicians, performers, stilt walkers, cartoon characters, etc can been found all over the Adlabs Imagica amusement park. 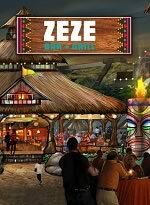 ZEZE Bar + Grill: This restaurant and bar has an tribal African theme. It has a live grill and barbeque. Imagica Capital Indian Buffet Restaurant: Restaurant offers a buffet with food from all over India. This restaurant will be operational in a few weeks. Imagica Capital Italian Restaurant: Delicious Italian food set in an Italian town setting. This is the only full service restaurant at Imagica (others are self-service). This restaurant will be operational in a few weeks. Roberto’s Food Coaster: Indian, Mexican, Italian and Asian food, which arrives on a moving roller coaster. Arrmada Tapas Bar: Open air restaurant on the deck of a wooden ship. Since Imagica theme park is spread over 80 acres, a stroller/pram for children below the age of 4 is advisable. Expect to walk a lot. Strollers are also available on hire at Imagica. Adults and older kids, may wish to make a dash to the “Americana” Zone, which has the most exciting rides. Expect to sweat a lot. Visitors should ensure that they drink adequate quantities of water and fluids. A free shuttle service is available to transport visitors to attractions. Make use of this shuttle and give your feet a rest. Bags are not allowed in the park. Outside Food is not allowed in the park. Do not bother to get packed food, water bottles, etc in to the park. Only feed and fluids for infants are allowed. Carry a hat or cap to protect yourself from the sun. Preferably wear cotton/linen clothes on hot days. Wear sunglasses. Bring umbrellas, rain coats during the monsoon season. Wear comfortable footwear because you will walk a lot. There is a high probability that necklaces, bracelets, jewelry, mobile phones, loose change, wallets, spectacles, etc can drop off during rides. It is advisable to come to the entertainment park without expensive jewelry. Point and shoot cameras are allowed, but professional cameras and equipment (DSLR, tripod, detachable lens, etc) are not allowed. On days that it rains, it is advisable to check with park officials on whether rides will operate. Carry an extra change of clothes since some rides involve water (“Loch Ness Expplorers”, “Splash Ahoy”, “Save the Pirate”, “Bump It Boats”). There is a charge for lockers at the park. Wheel chairs are available at Adlabs Imagica Amusement Park. These are recommended for elderly visitors. Avoid rides immediately after consuming food. Adlabs Imagica is built in 3 phases. 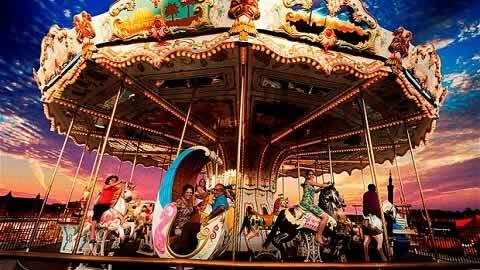 Phase 1: Adlabs Imagica, with the international quality rides and shows, started operations from 18 April, 2013. Imagica welcomed 1 million visitors by early July, 2014. Phase 2: Adlabs Aquamagica Water Park started operations on 25 September, 2014. The Water Park has 12 water rides/attractions. The Adlabs Imagica Water Park is spread over 20 acres. Phase 3: 287 room, four star hotel is under construction at Adlabs Imagica and is expected to open in early 2015. All these 3 phases will be spread over 110 acres of land. The promoters have an additional 190 acres (total 300 acres) for future expansion. The promoters of Adlabs Imagica plan to come out with an Initial Public Offering (IPO) either in late 2014 or early 2015. Manmohan Shetty: Adlabs Imagica is built and operated by Manmohan Shetty’s Adlabs Entertainment Limited (AEL). Manmohan Shetty promoted “Adlabs Films Ltd” which was a film processing, film production, film distribution, film exhibition and cinema hall (under “Adlabs” and “IMAX” banner) company. 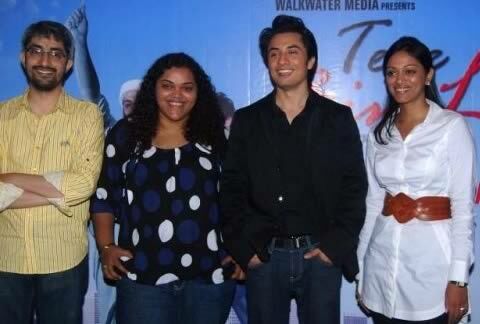 “Adlabs Films” was sold to Anil Ambani in 2006 and was renamed “Reliance MediaWorks Ltd”. To design, build and operate Imagica Entertainment Park, Shetty’s Adlabs Entertainment Ltd. has collaborated with American companies Attraction International, Sally Corporation and Contour Entertainment. Imagic is self sustaining with it’s own small power plant, sewage treatment facility, a small dam and water treatment plant. To break even financially, Manmohan Shetty’s Adlab’s Imagica Theme Park requires 1.75 million visitors a year. Movies that Manmohan Shetty has produced/co-produced include Munnabhai MBBS, Gangajal, Rajneeti, Apaharan, Ardh Satya, Namastey London, Singh is Kinng, Johnny Gaddar, Waqt, Marigold, Taxi No.9211, Sarkar Raj, Bluffmaster, Chakra, Hip Hip Hurray, Holi, Tere Bin Laden, etc. Manmohan Shetty started Walkwater Media Ltd in 2007. Walkwater Media is engaged in creating and producing content for films (“Tere Bin Laden”, “Rajneeti”, “Rita”), television programs (“Pratigya”). Pooja Shetty Deora: Manmohan Shetty’s daughter is the Managing Director of Walkwater and Joint MD of Adlabs Imagica Ltd. She is married to Milind Deora, Congress MP and India’s Ministry of Communications and Information Technology (India). She hold a BSc degree from Purdue University, USA. Aarti Shetty: Manmohan Shetty’s younger daughter is the Creative Head of Walk Water. She did a film direction course from New York University. Total cost of Adlabs Imagica is Rs 16.5 Billion.